OX Locker for factory 72-77 Ford Bronco Dana 44 front differential with 3.92 gears and up. For factory 30 spline axles. 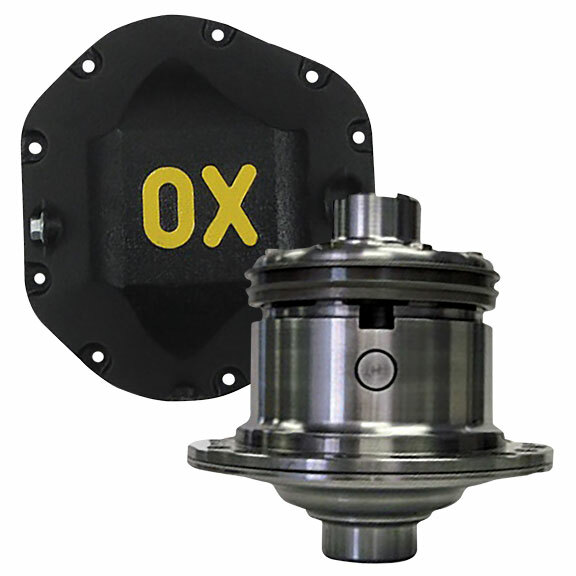 Includes heavy duty differential cover with "OX" logo. This locker is a powerful and versatile option for your Bronco front end. We ran the OX Locker through the coals at Bronco Safari in Moab, Utah and have nothing but good to say about it. One great feature of the Ox locker is that it can be locked using manual shift or air shift mechanisms. Electric shift is also an option but we feel much better about the manual and air shift options for the Bronco application. One great advantage of the OX Locker particularly over other air lockers is that the locking mechanism is in the differential cover. This makes maintenance and repair of the OX Locker much more simple than that of an ARB or similar air locker. Similar to these other lockers, the OX locker is fully engaged when selected and fully disengaged when not selected. This provides the best of both worlds for street use and extreme off-road. Please select your shifting mechanism when ordering this locker via the drop-down menu provided.